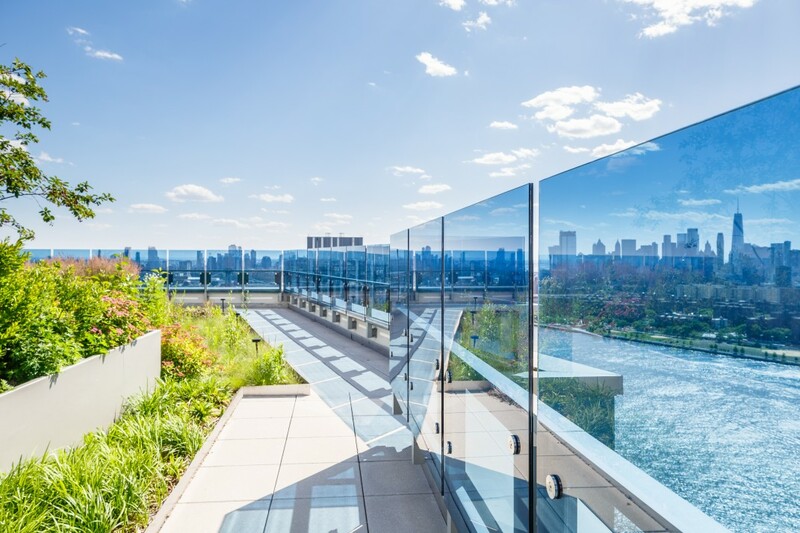 Level is a 40-story, luxury rental tower located on the East River waterfront in North Williamsburg. With the April 2019 L train shutdown looming, it might seem counterintuitive to suggest that now is a wonderful time to move to Williamsburg. But the waterfront is well positioned to weather the service disruption, with easy access to ramped-up ferry and bus service that would make residents consider avoiding the train in the first place. And with two new buildings by Douglaston Development, that picturesque stretch between Kent Avenue and the East River has become the premier place to live in Williamsburg. Level, a new 40-story luxury residential tower, is home to 554 elegant units from studios to three bedrooms. Just down the block is One North Fourth, a 41-story tower with 509 residences from studios to three bedrooms. Both redefine modern luxury living, with incredible minimalist interiors and a wide range of amenities in units and in the buildings themselves. Both are built right out over the river, offering resplendent city views. And both sit at the heart of the thriving, vibrant Williamsburg waterfront, a community that Douglaston has helped develop over the years. The upcoming L train shutdown will close the subway tunnel connecting Williamsburg and Manhattan for an estimated 15 months. In response, the city and the MTA are offering a wealth of new transportation alternatives that may, in fact, cut down on commute times. 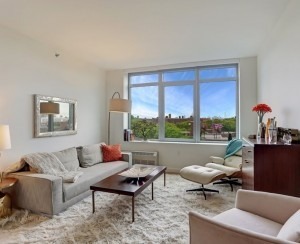 It couldn’t be easier for Level and One North Fourth residents to get to Manhattan. 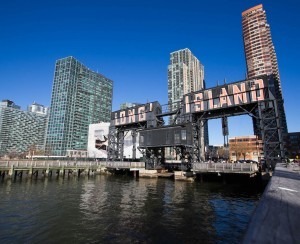 The MTA’s L train shutdown plan calls for a new ferry route departing just steps from the lobbies at Level and One North Fourth and disembarking at Stuyvesant Cove in Manhattan. The new ferry will operate from 6 a.m.-midnight on weekdays and 6 a.m.-2 a.m. on weekends, departing every 7 1/2 minutes during peak hours and every 10 minutes all other times. In addition, the East River Ferry—which departs from the pier at North 6th Street and Kent Avenue—has already been expanded, offering local residents a more peaceful commuting option at the same $2.75 price as the subway. But the alternatives don’t stop there. There will also be expanded bus service, including four Select Bus Service (SBS) interborough routes over the Williamsburg bridge and a new, M14 Select Bus Service that runs every 2-3 minutes crosstown on 14th Street, with a free transfer from the Stuyvesant Cove Ferry Terminal. Used in combination, the new ferry route and SBS line, enable residents to get from the lobby at Level or One North Fourth to Union Square in an estimated 18 minutes. Finally, if you miss (or need) the train, the MTA will be increasing service and running longer trains on the nearby G and JMZ subway lines. Diverse, interesting, and hassle-free options are at the front door for Level and One North Fourth residents. One morning, you could commute by water, taking in Manhattan’s majestic sweep; the next, you could cruise over the bridge on a priority bus lane without a worry of delay. Even if the L train were running, would you take it? Commuting may be a breeze, but once you are on the properties, you may not feel like venturing far. Both towers offer superior on-site features to provide a cozy sense of serenity, while no detail has been spared in crafting a fun community atmosphere throughout the buildings. And in keeping with the demands of the modern New York City lifestyle and the Williamsburg vibe, the community spaces—all equipped with free wifi—are inviting mixed-use spaces for work, play, and mingling. With the hottest in nightlife, culture, and dining, plus the East River Park and iconic Smorgasburg weekend market, the Williamsburg waterfront is the place to be in NYC. 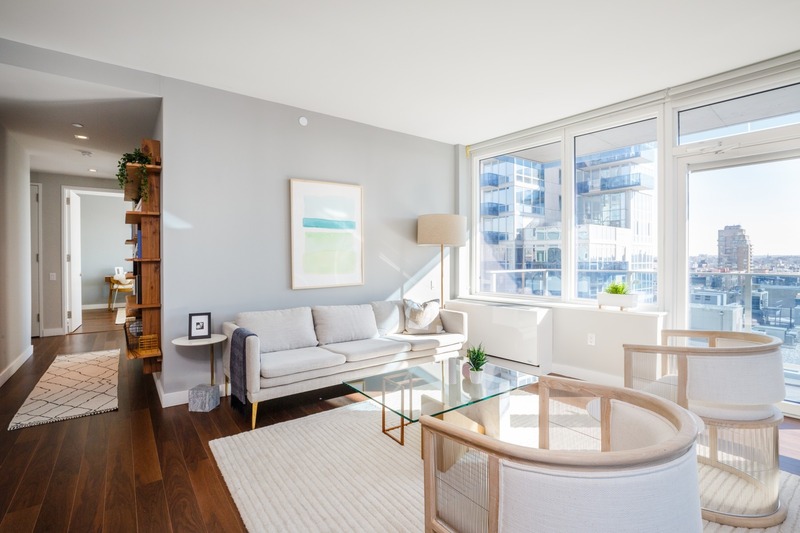 Level and One North Fourth offer an impeccably designed, holistic experience centered on balance, with transit options that will make commuting—or any other adventures afield—a breeze. 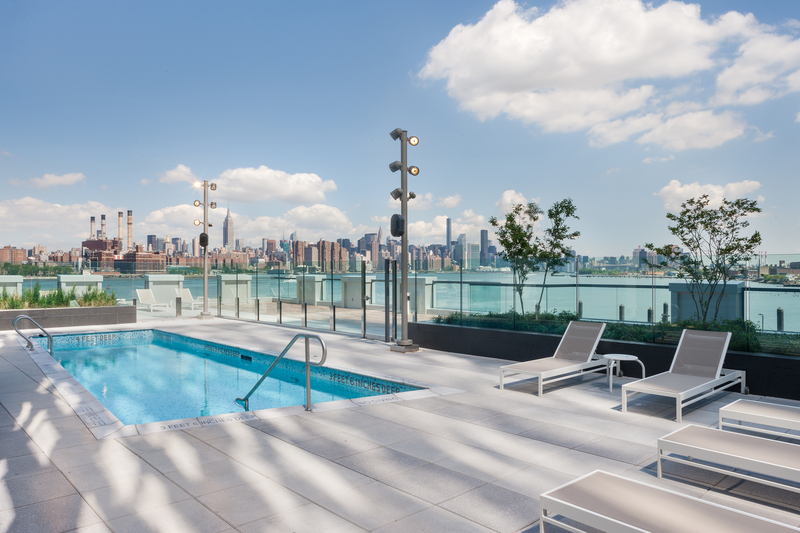 Want to see for yourself what the Williamsburg waterfront is all about? Douglaston is offering interested visitors to Level and One North Fourth three ferry tickets during weekend L train shutdowns. 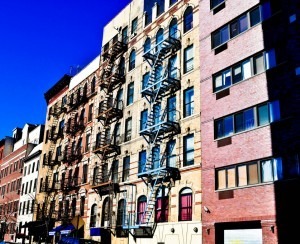 Visit the leasing office, level-bk.com or 1n4th.com for more information.